CTS is a state-of-the-art hosted trading solution that includes an electronic trading platform, charts with indicators and studies, an open API, risk management, order management, mobile apps, and other trading tools. Trading professionals have trusted CTS for over 15 years for speed, reliability and performance. CTS hosted solution offers direct connectivity to many of the world’s largest exchanges for streamlined order routing and fast reliable market data. CTS’s direct exchange access provides fast, reliable quotes directly from the exchanges you want to participate in. Fast clean market data is a key component for your successful trading. All order routing is direct from our robust data center to the exchanges. Latency is minimized so you have the best chance to execute your trading strategies. An abundance of professional trading tools allows you to build the perfect workspace for how you trade. CTS offers a wide variety of order types. You can start with the basics like limit, stop, and market orders. Then you can turn to OCO, auto OCO, and also create your own multi-bracket order templates. Icebergs, MOC, GTC and others are also available. All orders are held server-side in our network or immediately sent directly to the exchange. Flatten positions, flatten and cancel, or just cancel working orders with one click. Order management is critical to a trader’s success. CTS provides several ways to view and interact with orders and positions. 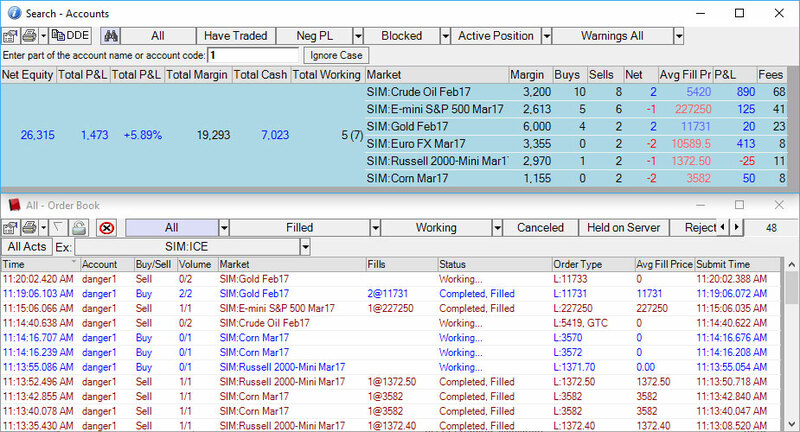 The order book consists of tabs to show all orders and trades, filled, working, cancelled, and held orders. Cancel all orders with one click or select an individual order to pull or revise. The account board will update your position, P&L, margin and other money indicators in real time. It automatically expands to show new markets traded that day, while simultaneously aggregating your performance in each market into a singular line of account details. Additional windows offer deeper insights such as account activity, position, and trade reports. CTS offer real-time streaming data for all markets available. Users can create and configure multiple charts to their specifications with a variety of indicators and studies. Custom scripting is an added features for those who want to create their own studies or tweak existing studies. 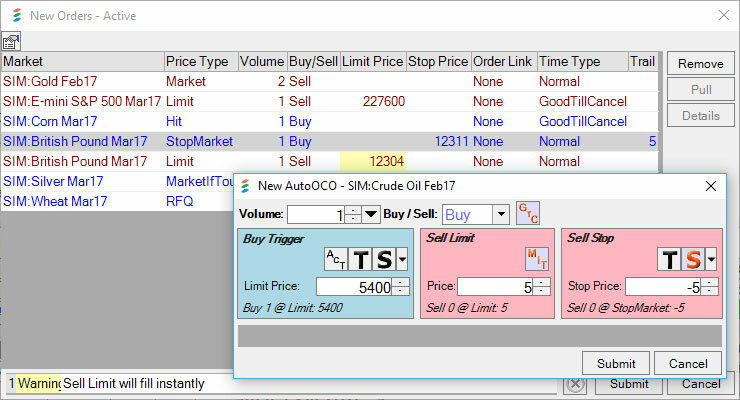 Chart trading opens the door to execution and order management directly from the chart window. T4 Mobile is available for Android, iPhone, iPad, and iPod touch. Enjoy the same trusted market data and reliable order execution that we offer on desktop. 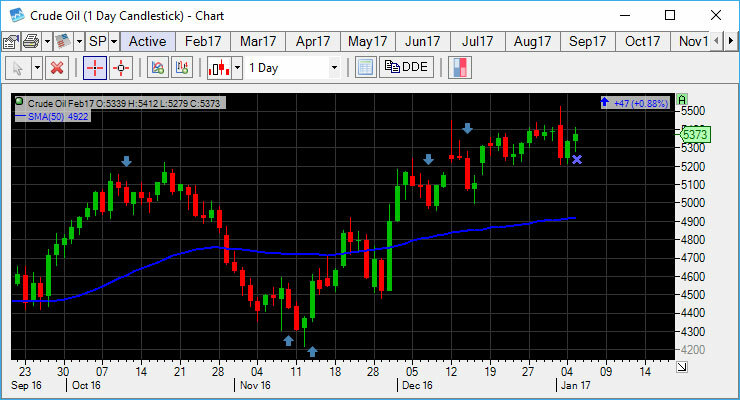 Fully equipped charts with studies, indicators, and chart trading are available on Android and coming soon for iOS devices. Never miss a move with T4 Mobile. All CTS products allow you to view and execute all exchange supported option outrights and spreads. View option chains and strategies in straightforward formats from our desktop application. When you find the right option, just click on it to open a new order ticket, depth of market, chart, and more. Options Pro builds upon the innate functionality listed above to create a comprehensive professional options package. Use different option models to create custom volatility skews, from which we automatically build theoretical pricing and delta sheets. 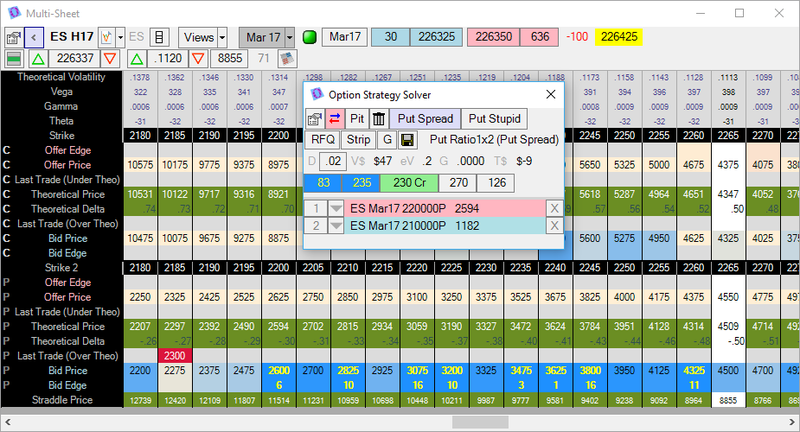 Pick and choose which Greeks you want to monitor, build and value custom spreads in real time, and execute trades confidently. Heat maps provide a quick visual confirmation of advantageous trades, while a portfolio analysis tool ensures you don’t overlook the big picture. Create a workspace that fits your trading style. 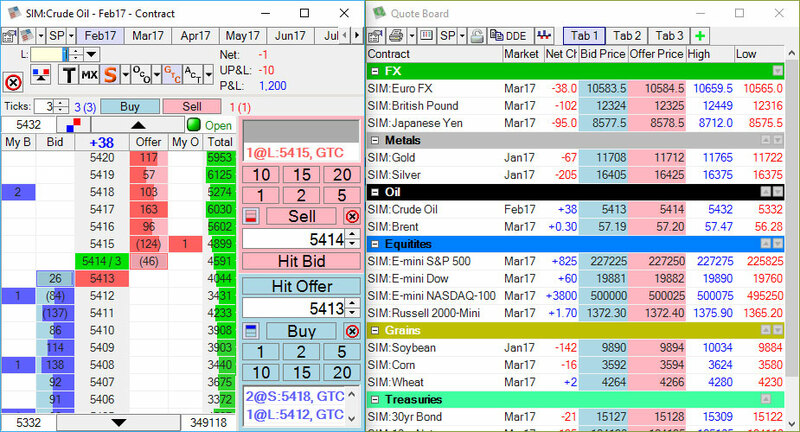 Open multiple chart windows, quote boards, and trading ladders to monitor multiple products simultaneously. Each window offers custom color schemes and the ability to show or hide different information, so you can focus on what matters to you. Multiple save slots on CTS servers allow you to access your workspaces anywhere you log in. If your primary trading computer fails, you can be up and running again on another machine in minutes.